Over the past six years, he has held multiple leadership roles including Executive Chairman Long Products Europe, Executive Director on the Board of Tata Steel Europe and CEO Tata Steel UK. Bimlendra Jha has been appointed as the Managing Director & CEO of Ambuja Cement with effect from March 1, 2019. At the company’s board meeting he has been inducted as an Additional Director and MD & CEO - Designate. Bimlendra Jha joins Ambuja Cement from Tata Steel Ltd. where he has spent nearly three decades of his career. Over the past six years, he has held multiple leadership roles including Executive Chairman Long Products Europe, Executive Director on the Board of Tata Steel Europe and CEO Tata Steel UK, looking after operations in UK, Sweden, and Canada. He is a B. Tech in Ceramic Engineering from lIT Varanasi and a Post Graduate Diploma in Business Management, Marketing and Finance from XLRI Jamshedpur. He has been actively involved in strategic portfolio restructuring and supply chain transformation in Europe and market development, sales and brand management, and innovation in construction practices in India. Speaking on his appointment, Bimlendra Jha said: "India is one of the fastest growing large economies in the world. From individual house builders to large infrastructure projects, the construction and cement industries are at the heart of this growth. Ambuja Cement is a strong retail brand and I am extremely excited to be back in India to follow my passion through this brand." 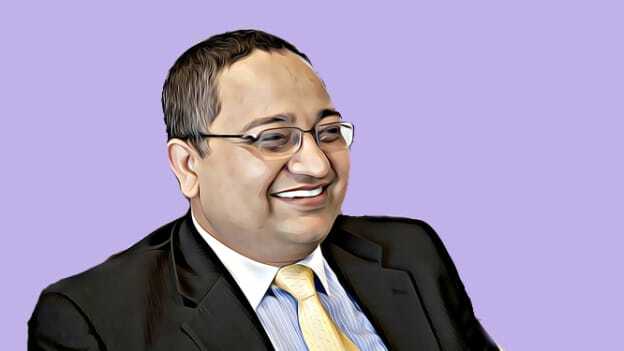 While welcoming him on the Board and the Management Team, the Board Chairman, Narotam Sekhsaria said: "With his wide experience in leadership positions with Tata Steel in India and abroad, we are confident that Bimlendra will be able to guide the Company build on Ambuja's strengths to achieve new heights and maximize shareholders' value". Martin Kriegner, a member of the LafargeHolcim Executive Committee, Region Head - Asia and Cement Excellence and Board Member of the company stated that "We are proud to have attracted Bimlendra to Ambuja. With his wide experience in supply chain roles and marketing and construction practices he will build on strong foundations and steer Ambuja to new heights to meet its growth and profitability targets".